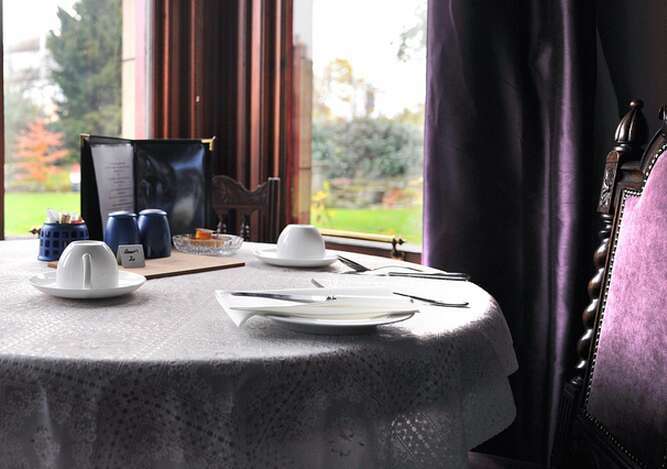 St Michaels is an iconic period town house in Elgin town centre within 5 minutes walking distance of the railway and bus station, 40 minutes from inverness airport and just over an hour from aberdeen airport. The perfect base for your visit to this beautiful part of Scotland. 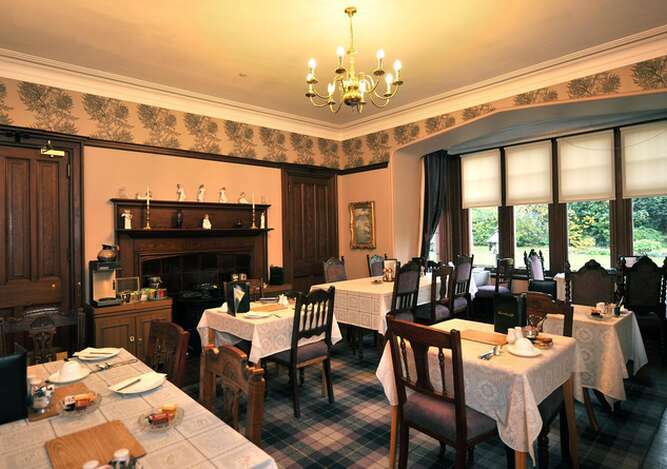 Elgin hosts many amenities and attractions to suit all the family - Golf, Swimming, Ice-Skating, Ten Pin Bowling, Cinema, Bars, Restaurants, Distilleries , Elgin Cathedral and Johnstons Cashmere Centre. St Michaels is within walking distance to all of these. Close by, Lossiemouth hosts 2 beautiful beaches and a marina where dolphins are very often spotted. This newly renovated guest house offers 8 luxury rooms, all of which, shall make you feel very comfortable with their luxurious soft furnishings and en-suites. We are proud to say the house has been brought up to a high standard of fire regulations, fire sprinkler system, alarms and smoke detectors have been fitted;sleep and feel safe is our motto!! Breakfast is of the finest local produce, where possible and, is served in our Thistle Dining Room which, faces onto the walled garden. Special dietry requirements can be met when requested in advance. Gluten free and vegetarian choices are available. Should you require a highchair, if possible, please let us know in advance. Sit back and relax in the comfort of our guest lounge which hosts a lovely open fire where, you are more than welcome to bring in your own tipple glasses, ice and bottled water are complementary to our guests. Our rooms Room 1 - Superking Bed Room 2 - Family/Double Twin Room 3 - Kingsize bed Room 4 - Superking /Twin bed Room 5 - Family/Double Twin Room 6 - Family Room 7 - Double Room 8 - Kingsize All rooms are equipped withTV, radio alarm/docking station, hairdryers, toiletries, hospitality tray with tea/coffee making facilities, bottled water, walkers shortbread and sweets, slippers on request. St Michaels was built in 1911 for the Holy Trinity Episcopal church as a new home for their rector then was later owned by a doctor and her husband who was a surgeon. The doctors' surgery was run from St Michaels and they lived there for 62 years before the present owner purchased it to convert into this Luxurious guesthouse which opened in 2016. Your host, Hazel, has been in the hospitality trade for over 20 years and aims to give you a most memorable, comfortable stay at St Michaels.